Today's guest Blogger is Bill Playford from DealerKnows, sharing how to look at financial evaluation strategies in a whole new, only as Playford can, light. Join Bill and Nextup's Brent Wees in Las Vegas for their Digital Dealer 25 session "The Cure for Attribution Blindness". Have you ever learned a new word, then for some strange reason you feel like you see and hear it everywhere? It’s not just you. It’s actually called frequency illusion or the Baader-Meinhof phenomenon. It’s another trick your mind plays on you (sucker), to pull you away from rational thought. It’s also the wrong ROI you keep reading about. It’s a financial evaluation strategy that helps determine the best way to make money, relative to other investment strategies. In other words, it helps an investor decide the best way to get the most out of their money when the only goal is to make money. Let’s take off our thinking caps, and be normal people. When we make a financial investment, the return on that investment comes after the passing of time. Your checking account returns very little interest because that money is available to you always. Your 401K allows you to retire because it takes decades to safely accrue the interest to do so. In very simplistic terms, you are being compensated for someone else (like a bank or a fund) using your money. The longer you let someone use your money, the more you make. The riskier the use, the higher the compensation. What’s this have to do with selling cars? Not a damn thing. It’s a marketing evaluation strategy that can be used to evaluate and compare marketing strategies. However, it is a very slippery slope for most organizations. Quantifying the added value has to be extremely well defined. For most car dealerships it’s evaluated on a calendar month basis, which flatly ignores any additional value that’s realized after that month is over. There’s a great article in Forbes that goes into better depth on how ROMI can be very misleading if you’d like to read more about it. 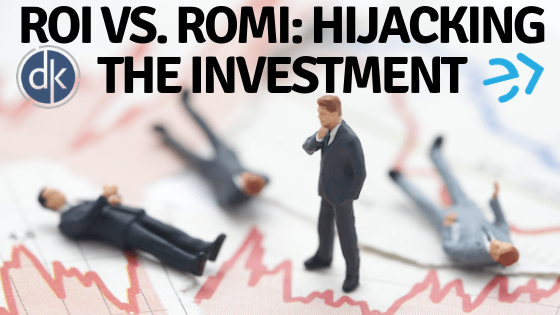 If you are constantly focusing on ROMI you are really missing the point about what you are investing in. Your investment is in the total value of the customer. After analyzing more than 400,000 transactions over the past couple months, it’s very clear to me that dealerships are making abysmal investment decisions. One dealership lost a combined average (front and back) of $471.13 on 347 new cars sold in just one zip code. One zip code. We’ll tack on a very conservative $300 cost per vehicle sold, and now we’re pushing an $800 loser on every copy. Did I mention this zip code is a 30-minute drive away, where the freeway passes a same-brand competitor who will easily siphon off the warranty and maintenance work? This illustrates two things. First, OEMs widely subsidize franchised dealerships with incentives (to the tune of 93%, according to the NADA) which artificially props them up. Second, dealerships are pacified by tertiary metrics that falsely indicate a payoff. Now that you are “woke,” let me present a better philosophy around ROI. Like the textbook definition of ROI, consider your customers as you would consider your investment portfolio. Clearly define and understand what customers are actually investment worthy. Consider the short-term dividends, as well as the total long-term payoff. Strategically, it’s worth giving a little money on a discount or trade when you understand that you will make it back in the long run. For most of the workforce, money is automatically deducted for retirement funds every month. The same can be said for those customers who have a high propensity to repeat and refer customers to you, as well as those who are loyal to their service business. There is a very high payoff that simply cannot be ignored. As part of my initial research, it isn’t uncommon to see the best performing zip code generate as much as twice the revenue as the next best performing zip code. That is how powerful loyalty is to the bottom line. On the flip side of that, I see stores losing hundreds of thousands of dollars in just sales revenue in areas that are hours away from the dealership, in some cases other states, never to see or hear from that customer again. In academic terms that’s called sunk cost. In regular people terms, that’s called throwing away money. I hope you are pissed off. After weeks of analyzing the results of dozens of dealerships, representing different brands, population centers, and regions, I know I sure am. When we have whole companies dedicated to shining the spotlight on marketing attribution, we’re led to basically ignore microeconomics, manufacturer incentives, inventory mix, the massive resource investment in Internet and sales operations, and the overall customer experience. Those spotlights cast a very, very, long shadow upon the variables that actually generate and sustain income. This is sort of like investing money in a company logo long before you have the revenue to support it. This is also like buying as many leads as you can from providers that guarantee the lowest price, optimizing your advertising based on loss-leaders and specials, all while lining the pockets of others in the process. You are sinking money into customers that will never return because they are only loyal to getting the best deal, even if it means the dealership loses money. That’s a suicidal investment. 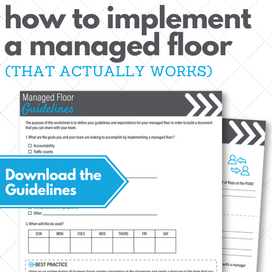 Do you really want to future-proof your business? Take the 90% attention that’s dedicated to finding a new trick, technology, lead provider, talking head, or shortcut, and dedicate it to understanding and serving your loyal customers. 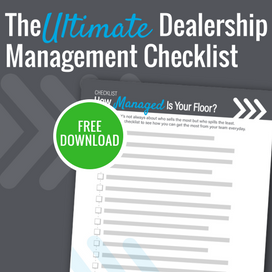 You have customers right now that like your dealership just the way it is. In fact, some pay more to buy there. Identify those people. Cultivate those relationships. Invest in those customers. They’re not searching Google or a listing site. They’re in your database. They’re sitting in your service waiting room right now. They will pay you back. So the next time you see ROI, realize your brain is playing tricks on you. It might be frequency illusion, or somebody using a finance term to justify why their product is incrementally better than a different one. It’s a trick, nonetheless. However, if you honestly want to make an investment, put your money into something that’s going to safely generate your wealth over time. Stop looking for ways to justify spending money outside your market and start spending it within. Identify your core customers and make them your nest egg. Worry about ROMI when the rest of your investments are paying off.